Work full time, but still want to develop your boxing skills? 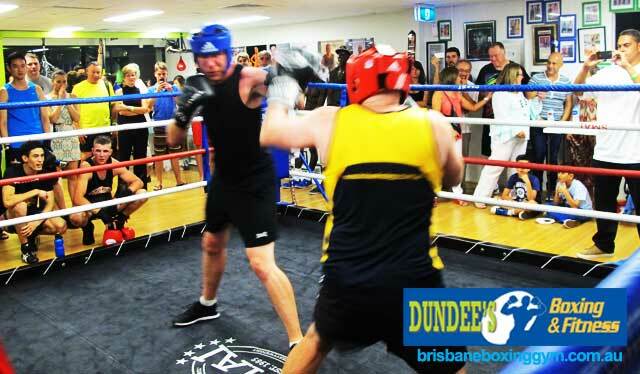 We offer early morning, evening and weekend white collar boxing classes. We even host white collar boxing fight nights! At Dundee’s Boxing & Fitness, we have corporate clients of all levels, ages, shapes and sizes working at improving their lives through boxing. Now, we’ll finally be able to see their hard work put into action. Work full time but still want to learn boxing? We believe boxing is for anyone. Whether you work outdoors or are in an office most days of the week, it’s always important to never forget your health, fitness and physical discipline. Boxing can help you learn balance, focus and get you in shape – and we have to admit, it can also be pretty therapeutic sometimes. When you train with Dundee’s Boxing & Fitness, you’ll be learning techniques from trainers (and medalists) with in-ring experience; with us, you’ll be able to learn with training styles used by the likes of world champions such as Floyd Mayweather and Manny Pacquiao. We’ve trained Olympians, medalists and even World Title holders. Interested in white collar boxing? Contact us for a free session.